And then finish mapping Full "FB Tuning" mapping update & parts mentioned here, write up to follow next week! Last edited by rickya; 28 May 2011 at 11:29 PM. Looks gd Rickya. If you need any murray clamps for hoses then let me know as I have a few spare unused. Can give it to Maggs as I will be popping into to see him sometime soon. Can give it to Maggs as I will be popping into to see him sometime soon. Sure mate, will deffo text you on it. Long day today with Sy and Tim but overall we are happy with what we got done today on the "1". Mapping is booked dependent on one small bit remaining. Got a few bits coming up for sale soon so text me if you need anything I may have and can bring that up with me. Thanks mate Didn't think of them! Let me know how much & Il leave the money with Mags Cheers. Not sure! Im doing my rad hoses? Have a look and see what size you will need as the clamps I have are for 57-79mm (2.2" - 3.1"). Will ask Richard (FB Tuning) today. Thursday at FB Tuning we fitted the 52mm core Alloy radiator & silicone hoses. Then the Forge Actuator which turned out to have the wrong arm attached So after a 1.5 hour delay Richard managed to tig weld & extend the arm & get it fitted eventually. At the Motorwerx dyno (Dyno Dynamics) it made over 330 bhp & 350 ft/lbs torque. (after a couple of hours on the dyno where ambient temp was over 21 degrees). Good figures considering my Hawkeye Spec C (VF36 turbo not VF37) made approx 340bhp & 370 ft/bs torque on Powerstation's dyno (Maha). But most importantly the car now drives much, much better & is so much more fun to drive. It comes on boost quicker, has far more torque, & gear changes are seamless, exactly what twin scrolls are all about. Thanks to Richard @ FB Tuning. Last edited by rickya; 04 June 2011 at 10:45 PM. Hi Ricky nice figures,i assume you are still running TMIC,airbox etc.? About the upgrades i would suggest SC46 twin scroll. Take it you didn't need the murray clamps afterall! NP...means I will get some dosh for em as I would have given you a couple for free! Last edited by rickya; 05 June 2011 at 07:57 PM. Reason being, we were not entirely happy with the spool up, it seemed a few hundred rpm slower than it should be. After I did some research it seemed to point either towards the AVCS or an air leak (pre turbo). Richard checked his AVCS logs from our dyno run & they seemed fine. We quickly checked the AVCS union bolts to make sure the filters had been removed, which they already had. We also checked the turbo oil feed, banjo bolt to make sure it wasn't partially blocked, it wasn't. We also made another log of the AVCS, this time choosing specific parameters to confirm that both banks of AVCS solenoids were working. We knew it could make & hold boost so its not a boost leak issue. So that really only left us with Exhaust manifold leak or Up-pipe leak. After a quick inspection of the manifold we saw a lot of exhaust soot on the heat shield near one end. It seemed we may have found the problem of a crack or hole on the exhaust manifold (headers). This week Richard managed to get hold of a used twin scroll manifold (just in case mine was too badly damaged) for us to swop over. While Richard heat wrapped the replacement manifold I drilled the heat shield casing off my old one. Only to discover my manifold was fine!! It turned out the gasket between the manifold & the up-pipe was leaking. 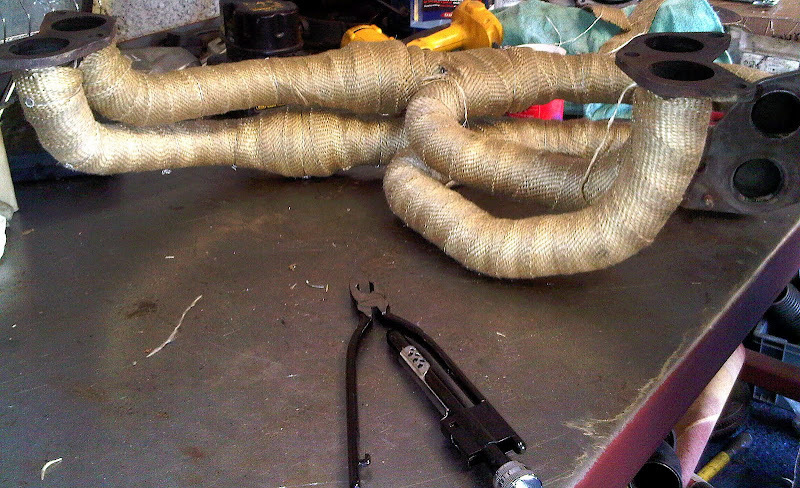 So we swopped my manifold & put the, now heat wrapped one on instead along with all new gaskets. Fired up the engine, went for a quick blast and problem solved! Definitely spools up quicker, smoother on idle, no loss of boost between gear changes & seems to hit peak boost earlier. Though I do believe another trip to the Dyno to tweek & confirm above will be the next instalment!! Last edited by rickya; 15 June 2011 at 06:37 PM. Maggy can you get these??! Last edited by rickya; 17 June 2011 at 06:47 PM. Ricky what wheels you got as I am after a set???? They'r standard Sti wheels, ideal for trackdays & winter- if you don't want to ruin your good set with grit salt etc. Could be just what I am after give me a shout over the weekend if your want. Il pop round tmrw mate!!! Last edited by jura11; 17 June 2011 at 08:51 PM. Start of July had a remap from Duncan @ Racedynamix. Very helpful & thoroughly nice guy. 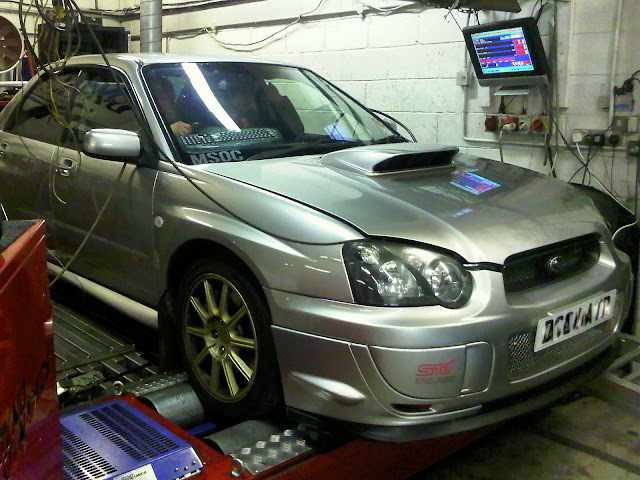 Car made similar power as before at 335bhp & 350 ft/lbs torque at approx 1.5bar on Subaru4You Dyno. Though as before there seems to be a little more power & torque in there somewhere but something may be a little a miss. A possible issue which I rectified the following week was that the previous owner had the fueling set way too rich with the FPR set at 5bar. This was rectified a couple of months ago but until that point the oil I had put in had probably already been a bit contaminated with fuel. Also at the same time the lamda sensor gave up & threw up an engine check light. This only compounded the problem for the next month, as in closed loop & low revs the Ecu was overfueling again due to the faulty lamda sensor. So I immediately drained off the extra "very thin" oil (which was actually more like petrol by that time!) as it was over filled due to fuel contamination. Th following week (15t July) I sorted the issue once & for all. I rang Duncan from RaceDyanmix, he came round the next morning, checked the fault code, disconnected turned off the lamda sensor on the ECU. Great service. Later that morning I took it down the road to Hugberry Vehicle Services where we flushed out all the old oil. (which actually acted as an engine flush almost!). Changed the spark plugs, which were in quite poor condition, for some one step colder NGK PFR7B's (from camskill). And to be on the safe side & rule out any engine issues, did a compression test. Thankfully the compression was fine with all cylinders identical with one cylinder being 4 psi less than the others. 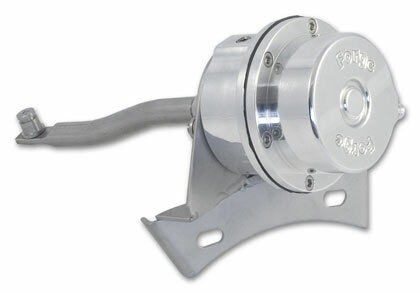 This is well within tolerances & all made over 125 psi & thats after a complete engine flush! Last edited by rickya; 05 August 2011 at 10:40 AM.